If you consume alcohol, there may be potential for you to develop problems with your liver, leading to liver cirrhosis. While the amount and frequency of alcohol consumption needed to develop cirrhosis varies, it's likely that anyone who struggles with alcohol abuse is a candidate. If a person's liver is healthy, it can usually regenerate cells if damage occurs. But if the damage is excessive, the liver can't replace these cells. The damage begins to accrue and a person suffers from symptoms of this damage. While there are numerous causes of cirrhosis, heavy alcohol consumption is a top cause for the condition. Typically, it takes years of abuse for cirrhosis to develop. It is difficult to predict who will get the disease as the amount varies from one person to another. One study found that for women, just two or three drinks a day and three to four for men was sufficient to lead to cirrhosis. There are many complications of cirrhosis. A person can suffer from fluid retention known as oedema. They may also have bruising and bleeding due to a problem with the proteins needed for blood clotting. Problems with blood pressure and enlarged blood vessels can mean hypertension and bleeding in the stomach. Others who have liver cirrhosis may suffer from an enlarged spleen or jaundice of the skin. Yet another problem is gallstones, which occur because of problems with bile flow. Since the liver can't filter out medications as it should, some people who have cirrhosis will find themselves very sensitive to medications, which can mean they suffer more side-effects. A person with liver cirrhosis is also more likely to suffer from liver cancer and a dysfunctional immune system. Kidney and lung failure may occur as well. Treatment for cirrhosis varies but the main goal is to slow down the progression of the condition and treat the complications of cirrhosis. Those who have complications may need hospital treatment. Dietary treatment is an important part of managing the disease. Many people who have cirrhosis are malnourished. A dietitian will recommend a healthy, balanced diet that helps to restore nutrition to the diseased patient. Supplements may be recommended for those who can't meet their dietary needs through food alone. The obvious treatment is also to avoid any alcohol or similarly damaging substances such as illegal drugs. If a person with cirrhosis continues to use such substances, they will damage the liver even more. Those who have complications such as oedema will need to take diuretics to remove fluid from their body. If the risk of infection is high, antibiotics may be prescribed. Common treatments for hypertension include beta-blockers. For some people who have alcohol-related liver cirrhosis, their complications will not be manageable. These people may end up being a candidate for a liver transplant. Unfortunately, the number of people who need a transplant is significantly higher than the number of organs available. The waiting lists are long and the outlook is grim for those who need a transplant. Your choice to consume alcohol is yours but you should be aware of the risks involved. For those who consume alcohol on a regular basis, there is potential for you to develop liver cirrhosis – even if you function well with your level and frequency of consumption. 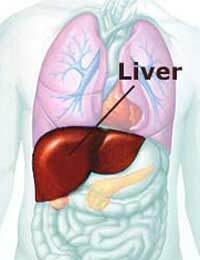 Hopefully, you can make healthy and responsible choices that protect your liver from damage.